With its sub-$23,000 price tag, the 2017 Dodge Journey SUV positions itself as the market's most affordable 7-passenger crossover SUV, challenging pricier but better-equipped SUVs such as the Kia Sorento and Toyota Highlander. From its clever storage solutions to its powerful optional V6, the Journey has much to offer those willing to overlook its aging platform and outdated styling. Benefits of a Dodge Journey. 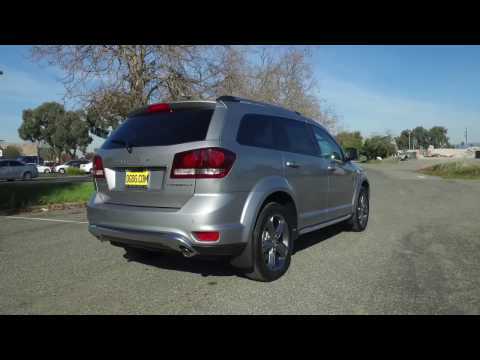 I very much enjoy the Dodge Journey. This is my second one I have owned. I do wish that my new Journey had some of the perks the old one had thought. Such as the dash cooler and wall outlet plug in the center console. Although in the new model there is a cigarette port for another charging station in the very back. I enjoy the Journey because of the three row seating. The three rows come in handy when you travel a lot with children like we do. Each kiddo has their own row to stretch out in on long trips. It has a very smooth and quiet ride. We travel a lot and long distances so that makes a big difference to use. Even when we have our roof rack on and filled you cannot hear outside wind noises. Gas mileage is good when traveling on the highways. Even day to day driving does not use a lot of fuel. I normally have to fill up every 12 days when driving to work and home everyday. Also the extra storage in the floor and seats is helpful. I always keep a first aid kit in one and a roadside kit in the other. Plus there is room in the trunk floor as well. Over all I enjoy the space and luxury of the Journey at a lower price than some other third row seater vehicles. Smooth like butter- inside and out; tires to sunroof. I initially purchased my journey for the 3rd row seating feature, as we are looking to expand our family. . . But once I sat in the driver's seat on the car lot, I never looked back. It was honestly the first and only car I looked at that day. I have zero regrets. It gets the same seating room as higher end luxury cars like the armada, suburban and expedition, at a fraction of the cost- with better gas mileage! My particular journey has the invaluable backup camera that at times can be a little. . . Paranoid. . . But has saved my bumper more times than I can count, ha-ha. I do not use the sunroof much as the weather here is getting cold. . . But it will give me a good opportunity to test the drive train as snow comes! I genuinely have no complaints about this car. . . Aside from there is not a dealership nearby to handle any maintenance. Dodge Journey. A comfortable, affordable family car that is stylish and hip. I was searching for a vehicle that had a lot of room inside. I use to own a Nissan Sentra which I loved but it was not big enough inside. I went to Dodge and looked around and found the Journey. It has 3 row seating and the seats fold down to give me plenty of room to haul things if needed. It is capable of driving 7 people with still plenty of legroom. It has plenty of storage space and has a really air conditioner in the fro9nt and back. Plenty of cup holders and chargers. The gas mileage is not that bad. I feel it could be a little better, but the good definitely outweighs the bad. It is a comfortable ride and has good power. My kids and their friends have plenty of legroom and love the stereo. I wish it had Bluetooth but does come with an aux. I love my Journey and do not think I will go back to a car again.